Under the label “traceability” different methods and systems for tracking and tracing information from the field to the stores are discussed. 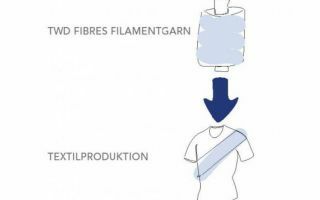 The International Cotton Conference Bremen in March 2018 offered a forum to present and discuss the latest innovations and processes in tracing cotton. 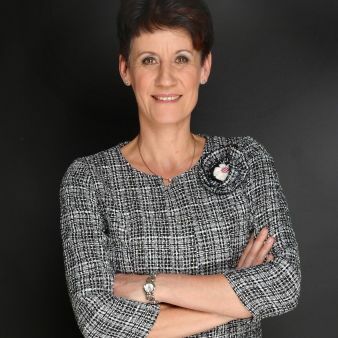 During the session “Traceability From the Field to the Shelf – Demand, Options and Limitations”, chaired by Kai Hughes, Director of the ICAC, renown researchers and companies allowed deep insights into the status quo of traceability of cotton. 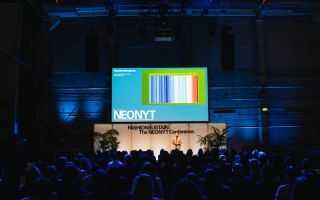 Currently, there is a trend in the textile supply chain to focus in particular on making the origin of clothing more transparent to the consumer. Claims of the manufacturers that their clothes were produced according to certain criteria in a certain place should be verifiable. From experts’ point of view, the currently offered technologies are very complex. In every system advantages as well as disadvantages can be listed, and the question of costs and implementation in practice always remains. Identification – information about the cotton such as the origin, grower, etc. Quantification – proof that a product is 100% Pima, Organic, Egyptian, sustainable cotton, etc. Three ways of traceability are currently most vibrant: DNA based methods, Tag & Trace Systems, where information is attached to the fibre, and Blockchain. The latter is a digitized, decentralized, public ledger of all crypto transactions. Heinz Zeller, Head of Sustainability & Logistics at HUGO BOSS presented an implementation of Blockchain for the cotton supply chain. He showed that from cotton to customers, it would be possible to order and manage transactions between each participant in the value chain using smart contracts enabled by blockchain. Each supply chain partner will grant specific access rights to information to other partners, thus contributing to transparency. It would be possible to extend blockchain to third-party service providers, thus providing true due-diligence through secure and controlled information sharing. Blockchain can reduce operating costs, speed logistics, eliminate fraud and enable a personalized customer experience. Oritain is collecting samples of cotton from around the world to analyse and identify these fingerprints. Therefore, products containing cotton can be tested against this database of fingerprints to ascertain origin. 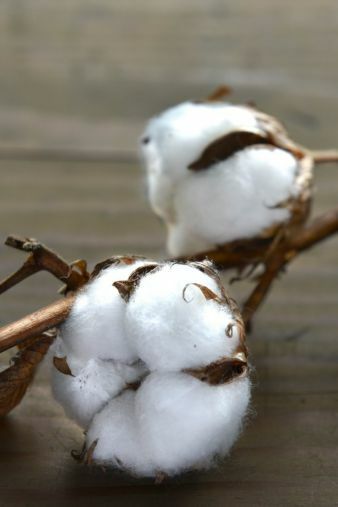 The Oritain database contains samples from cotton produced across the United States, Brazil, West Africa, East Africa, Europe and Turkey, Egypt, South Asia, Central Asia, Western China, Eastern China and Australia. Mr. Lind emphasized that the Oritain system is commercially proven, and it tests a product for naturally occurring identifiers; it is not a “tag and trace” system. The Oritain system does not require changes to manufacturing methods, does not impose per-kilogram costs, and does not require participation by suppliers. Gediminas Mikutis, Cofounder and CTO at Haelixa presented a DNA based tag & trace concept that can determine the “paternity” of cotton in a t-shirt by using encapsulated DNA-based tracers. The tracers are composed of DNA sequences encapsulated within invisible particles that can be mixed with any fluid and item, providing it with a unique fingerprint, which is easily identified and quantified at parts per trillion level (1 milligram per ton) with state of the art bio-analytics used in medicine and forensics. The use of DNA permits to generate as many distinct fingerprints as are needed, since unlimited DNA sequences are available. The encapsulation dramatically improves DNA stability, providing unprecedented resilience in harsh conditions. The tracers can be detected throughout the value chain, from farmer to consumer to ensure origin and authenticity and to monitor processing. The technology has been tested in a range of products, including polymers, fuel and oil products, and precious minerals. Paul Stenning, Managing Director at FibreMark Solutions Ltd offered FibreTrace as an end-to-end solution to traceability. FibreTrace is a specifically constructed manmade fiber added to cotton at the gin in minute quantities. These fibres can be traced at all stages of processing to guarantee the origin, identity and purity of cotton. At any point in the process following ginning, cotton can be scanned to verify the existence of FibreTrace in the product. Different traceable elements can be embedded in each FibreTrace to enable specific identification of origin and identity of cotton. 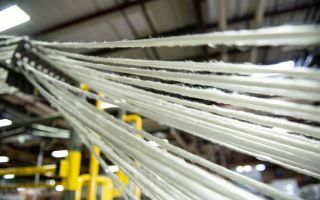 Through the use of FibreTrace, it is possible to track where cotton was spun, woven or knitted, dyed and finished, cut and sewn, and eventually sold at retail. It is possible to quantify identity characteristics such as organic, national origin, or other attributes such as Cotton made in Africa, if FibreTrace has been added at the gin. The FibreTrace Scanner is a handheld device that gives real-time results that can be uploaded to the cloud for instant sharing. Especially sustainable cotton is in need to prove its origin. Heinrich Schultz, Managing Director – OrganiMark Group presented the Sustainable Cotton Cluster in South Africa. Its key enabling factor is a sustainable cotton traceability platform that integrates sustainability compliance with supply chain support and traceability. Damien Sanfilippo, Director of Standards and Assurance at Better Cotton Initiative (BCI), explained that physical traceability is complex and costly. Since BCI is committed to pragmatic solutions that can effect real change in the cotton supply chain, BCI uses a mass balance approach. Source: Bremen Cotton Report 31/32- August 16, 2018.